The International Society for Academic Research on Shamanism (ISARS) and the Program of Anthropology, Institute of Sociology, UC, invites you to attend the 3rd international conference of ISARS which will be held at the Pontificia Universidad Católica de Chile, Santiago, Chile in November 27-30, 2019. The question of what shamanistic practices “do” in any given society has always been a central one in anthropology, and much analysis has understood ritual and spiritual experience as connected to other spheres of society, especially to political and ideological dimensions. This has been emphasized by anthropological literature on cultures that have experienced radical changes of political structure. For instance, Piers Vitebsky reminds us that shamans do not work in a political vacuum (2002); in possession or shamanic cults throughout Asia, he argues, spirit helpers are often kings, policemen, generals, clerks, as well as “wild” spirits; i.e. reflective of worldly difficulties brought about by the onset of a particular state or bureaucratic system. Possession or shamanic trance in these cases can often embody a form of resisting or mocking authority, as Paul Stoller shows in his classic analysis of spirit possession among the Songhay people of Niger (1993). In a contemporary setting, we are interested in looking at the intersections of possession/shamanic cosmologies with globalization and neoliberal policies, as well as concerns with ecology, climate change and indigenous rights. However, we don’t want to simply observe that intersection. Following a host of more recent scholars, we want to go back to more primary questions – about what shamanism and spirit possession arein particular cultural places, rather than about how they dialogue with, or resist, their particular context. In Mongolia or Amazonia, for instance, shamanism has been described as defined by its intersubjectivity (Humphrey, 1996; Viveiros de Castro, 2007): a shaman is a highly relational being that mediates between past and present, and between different ontological statuses, with possession belonging to the whole community. Equally, Morten Pedersen argues that in the ontological chaos of post-socialist Mongolia, with many new spirit forms emerging, shamanism in some sense was the transformation or change itself (2011). Shamanism can be defined here as a transitional cosmology, rather than as a fixed set of ideas or practices. In Cuba, on the other hand, spirits take a number of forms, as do practices of possession. Aisha Beliso-De Jesús has understood spirits in non-substantial terms (2015): as electric currents, electronic “co-presences” transmitted through media technologies such as DVDs as practitioners travel between countries. In Mozambique, a radical distinction between physical and spiritual realities is untenable (Nielsen, 2015), as ancestors live inside people´s bodies, empowering and guiding them. In this conference we wish to go back to ontological basics in relation to spirit cosmologies, and practices of possession and shamanism. We will ask what possibilities or worlds shamanism and spirit possession create and enablein these environmentsthrough their practice by experts and laypersons. We will ask, in a pragmatic sense, what theeffects of shamanism and spirit possession are: what kinds of entities are made possible via the manipulation of things in the world, for instance, or of the training of bodies to receive them? We will similarly explore questions of materials, media and technologies in relation to shamanism and spirit possession, and ask: can we look at these technologies and corresponding techniques as generativeor expansive of, rather than just mediatory or reflective of, particular cosmologies? We can further ask, what is the fundamental role of the senses in spirit ceremonies? In what ways are emotions and affects central to the very existence of spirits and other entities, and how are people themselves constituted as personsthrough these encounters? Session organizer(s) are requested to indicate the general title of the session, a brief description of the main topic (max. 300 words), number, names and affiliation of participants. Sessions should include a minimum of 4 participants and a maximum of 6. Although the official language of the conference will be English, proposals for panel sessions in Spanish are welcome. Please note that the Scientific Committee will review and select the papers and session proposals. The selected papers and sessions will be announced in February 2019. Please visit Conference Registration for further details. 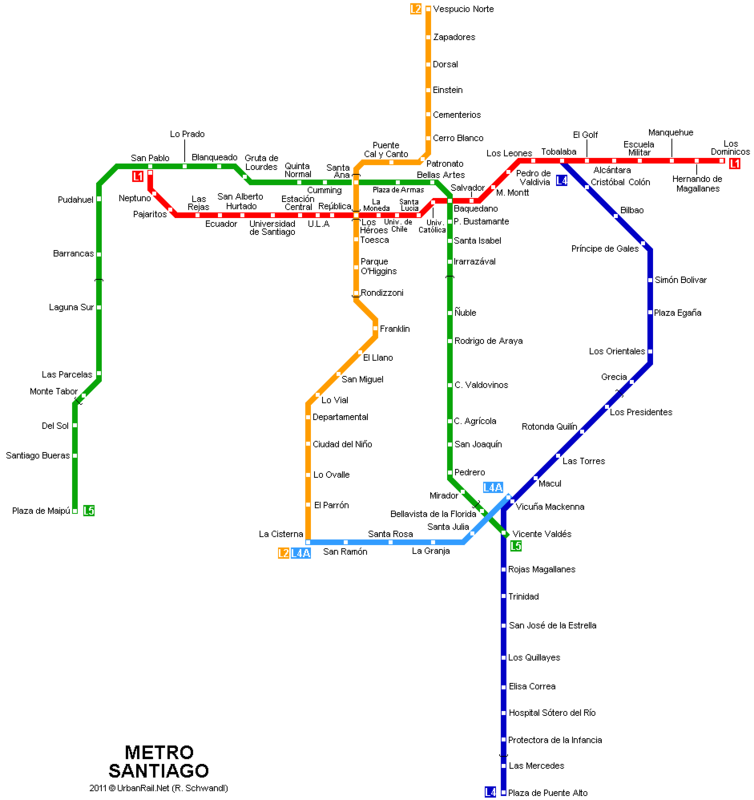 The closest metro station is San Joaquín (just in front of the campus, Green Line L5). We look forward to welcoming you to Santiago, Chile in November 2019.